As we discussed back in episode 4, in our interview with epidemiologist Tom Wilson, it’s a good idea to not have blind faith in wellness vendors, but to have a healthy dose of skepticism. For one thing, there are probably leaders and employees at your organization who are skeptical, so you need to anticipate their questions rather than coming across as naïve. More importantly, you should review actual data on the outcomes and think critically about them. Depending on your specific goals for your organization, your wellness program may not actually be meeting your goals. And there’s at least one voice today saying that traditional wellness may actually do more harm than good. Al Lewis claims that what he calls the “pry, poke, prod” model of corporate wellness leads to hyperdiagnosis and unnecessary treatment, which is dangerous for patients and drives up health care costs. Al Lewis is founder and President of the Disease Management Purchasing Consortium International, Inc. (DMPC–www.Dismgmt.com) DMPC is an outcomes measurement evaluator in the field of disease management and wellness for health plans, self-insured employers, states, and brokers. Al’s book on outcomes measurement, Why Nobody Believes the Numbers was named 2012 health care book of the year in Forbes. 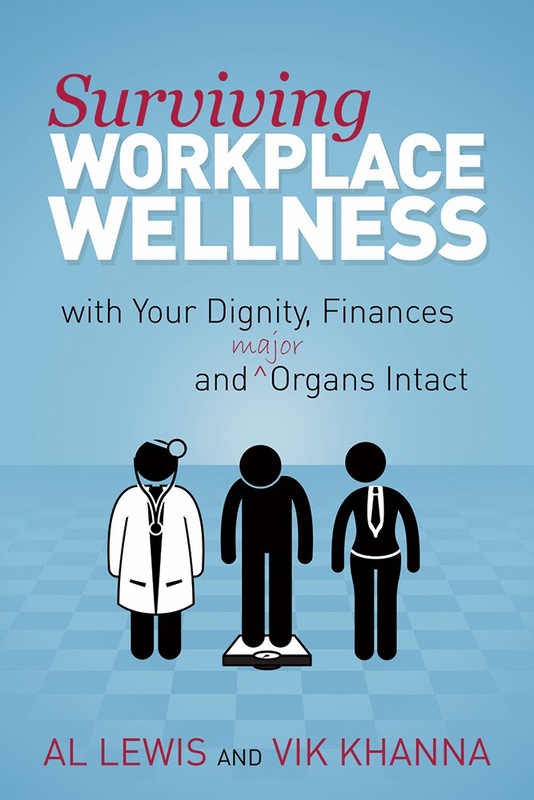 His latest book is Surviving Workplace Wellness…With Your Dignity, Finances, and (Major) Organs Intact., co-written with Vik Khanna. It’s a book he actually wrote for employees, so we thought it would be a good idea to check out what your employees might be reading that could be very critical about your wellness program. Whether you or not you like or agree with Al’s message, he’s asking some important questions. You owe it to yourself to look into them, and also to be prepared to answer these kinds of questions from your employees. Being proactive about potential tough questions from employees is just one implication regarding how you communicate your health programs. Aspendale Communications can help you audit what’s currently being communicated to your employees and develop a strategy that will help you meet your objectives.